Hope everyone made it through last night’s storm and high winds without any damage. Just a few sticks here and there for us but after so many high wind events this year I can’t imagine that there is a lot left to blow down, at least for a while. We still battened down everything almost like it was a hurricane coming including parking the vehicles up in the field just in case it got interesting. We have made big strides on the building project this week while the weather was so warm. 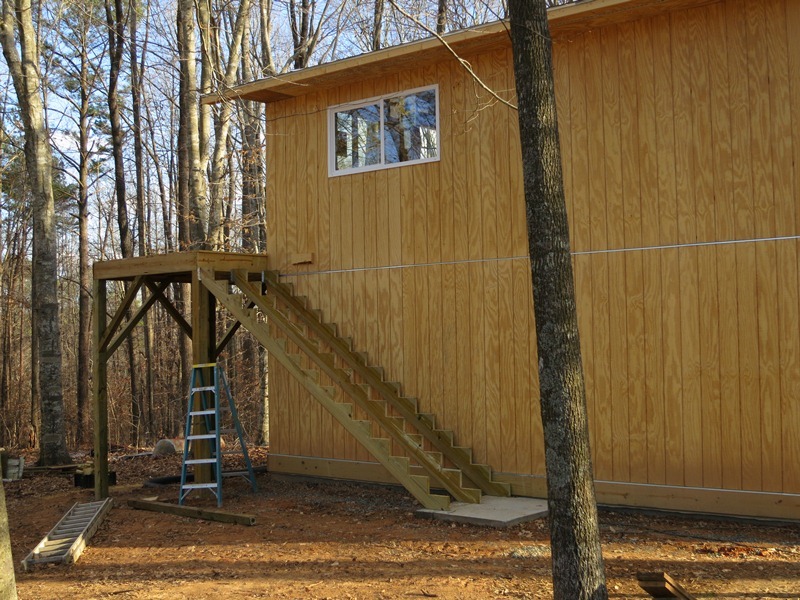 The entrance deck is nearly done, put up the stringers for the stairs today. As soon as the stairs are done then we can stop using ladders taller than a step ladder, hallelujah! Just a bit of siding left to do above the deck and then we can start on finishing the inside, plumbing and wiring first. Trying to get it mostly done before it gets warm, after the end of March it will be hard to spend time on it. 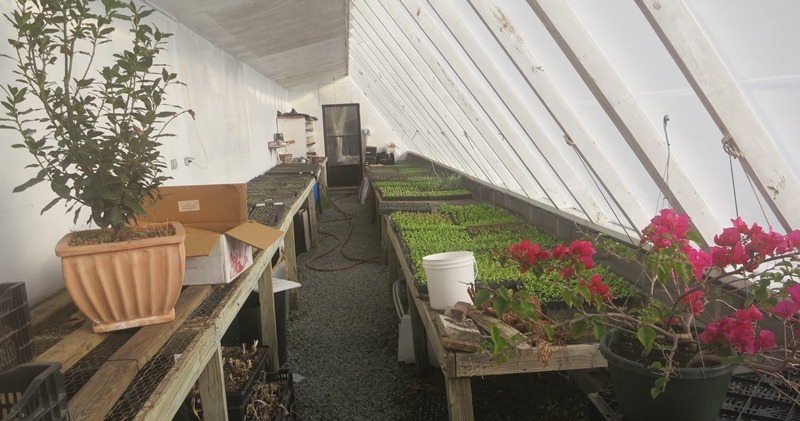 The greenhouse is filling up with transplants including the first tomatoes seeded this week, umm tomatoes (imagine a dreamy look on my face). 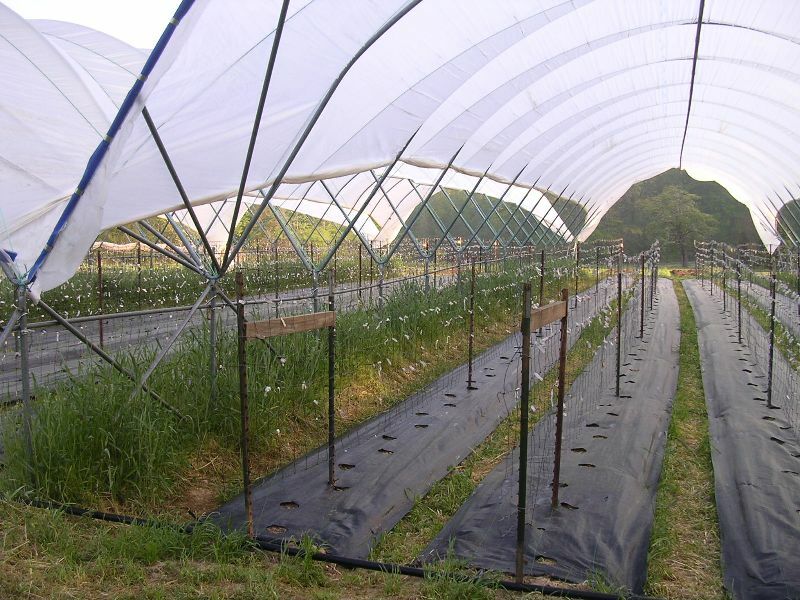 In a few weeks we will be transplanting to the field on a weekly basis mostly lettuce to start but some flowers too. Until then not a lot of field work going on other than harvest for market, plus it needs to dry out some before we can till any beds. Another cold start on Saturday but our favorite holiday Groundhog Day! It’s the really deep winter selection now and all great soup ingredients. The winter potato- Jerusalem Artichokes (Sunchokes). A little more Spinach. Lacinato Kale, beautiful tender and sweet Collards. It is root season with maybe the last of the Japanese salad Turnips for a while but plenty of sweet Carrots. More and more of the brilliant and amazing Anemones, a must for winter.